Sapele Quarter Cut Scratched Fumé is an outstanding wood veneer where different treatments have been used to define an innovative wood surface. An exclusive smoking treatment developped by CHANNEL VENEERS makes possible a wood surface that is dark, warm and glossy. In addition to that beautiful texture, the Quarter Cut makes possible a very well structurated figure to be present in every bundle. 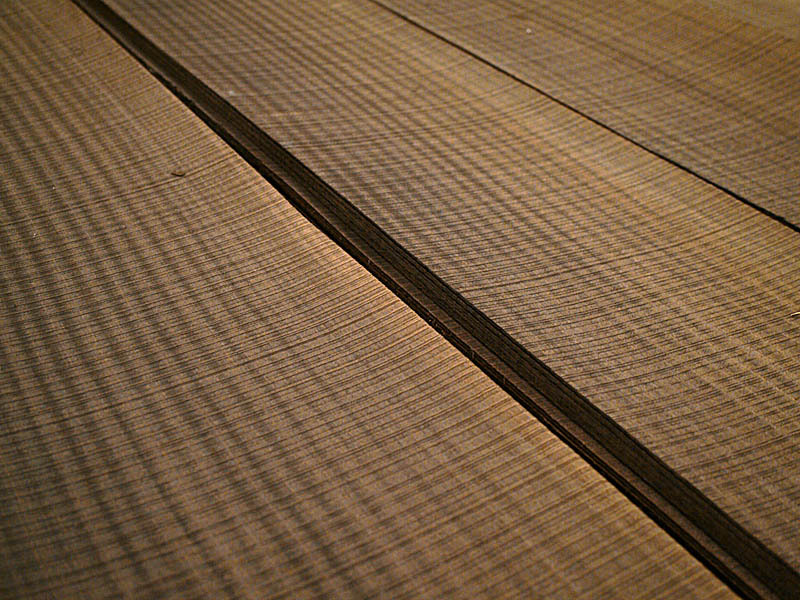 Finally, the wood surface is scratched as if it had been produced with an old saw. The result is a completly new Sapele veneer. Sapele is a huge tree native to tropical Africa. 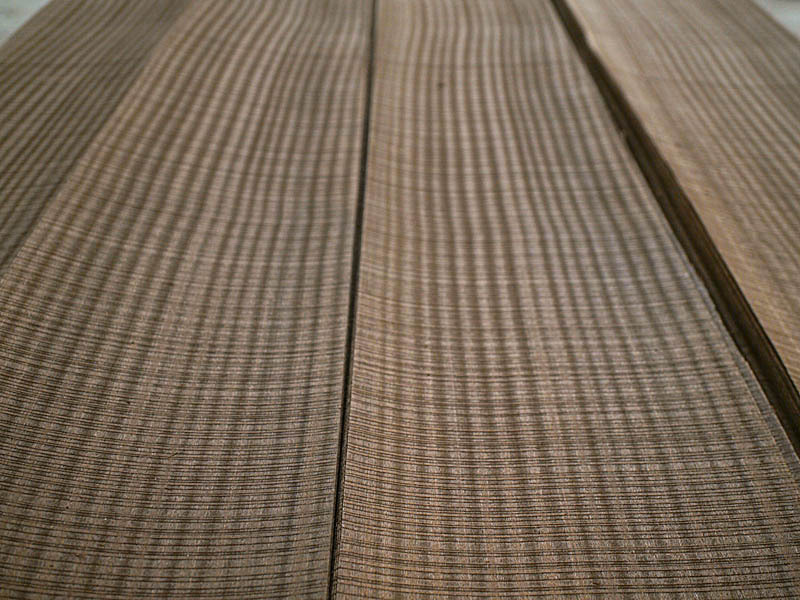 Its wood is commercially important as its figure is similar to Mahogany. For that reason Sapele wood veneer is occasionally used as a substitute of that noble wood. Sapele grain is interlocked and sometimes is also wavy. The texture is fine, uniform and presents a good natural luster. Therefore, Sapele wood is typically used for decorative applications, specially for that uses where figure is important and a hardness is required. It is easy to see this wood for flooring and doors. Sapele Quarter Cut is also used for fine carpentry and musical instruments, but never before has been possible to use it with the rough texture of the scrached veneer offered by CHANNEL VENEERS. Heartwood of Sapele wood is a medium to dark reddish brown. The natural colour tends to darken with age. Sapele is well known for the common ribbon pattern seen on quartersawn boards. When it is smoked, the natural colour of Sapele turns darker and more contrasted. This treatment also makes the final surface glossier. The bright of the wood surface added to the reflections of the scratching which make the surface of this beautiful veneer more vibrant. 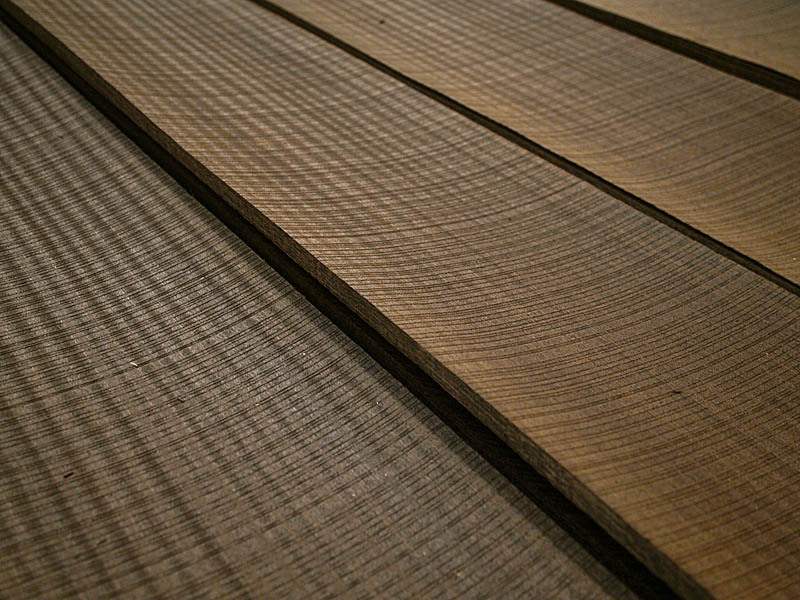 As shown in the pictures above, CHANNEL VENEERS selects the best logs of Sapele Quarter Cut Fumé. This makes possible to provide wide bundles and also full lengths that are usually over 3.10 meters lenght. Althought the Sapele is a well know wood veneer, Sapele Quarter Cut Scratched Fumé is an innovative product. Therefore, the company usually offers this reference on demand. 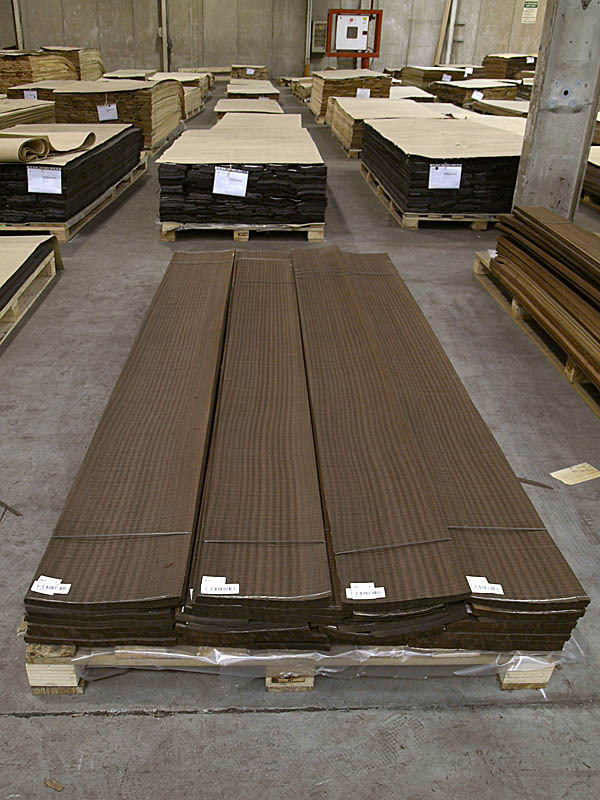 Due to this way of producing the veneer it is possible to produce the required bundle sizes and qualities. Please, Don’t hesitte to contact directly with the company if you are looking for a certain amount or an special quality of this product.